Albie has never been the smartest kid in his class. He has never been the tallest. Or the best at gym. Or the greatest artist. Or the most musical. In fact, Albie has a long list of the things he's not very good at. 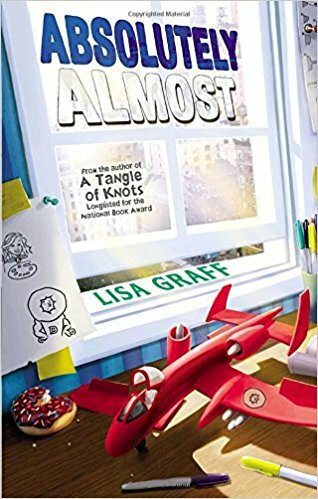 But then Albie gets a new babysitter, Calista, who helps him figure out all of the things he is good at and how he can take pride in himself. Review: I had the pleasure of running my 4th grade daughter's book club last week and this was the book they were reading. I think my biggest challenge reading books written about kids that are the same age as my own children is that I'm critical of how the children are portrayed. While Albie is a 5th grader, he is written more like a 2nd or 3rd grader. That being said, as a parent, I really felt bad for Albie. He was neglected by his parents and they removed the only adult he really bonded with, his babysitter Calista (I loved her, she was the best character in the book). As a child, I would have probably enjoyed this more and felt a kinship with Albie.